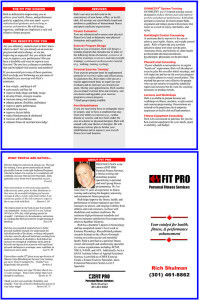 Rich Shulman is the owner of FIT PRO, a fitness training and consulting practice specializing in personal and small group fitness and nutrition programming and education. 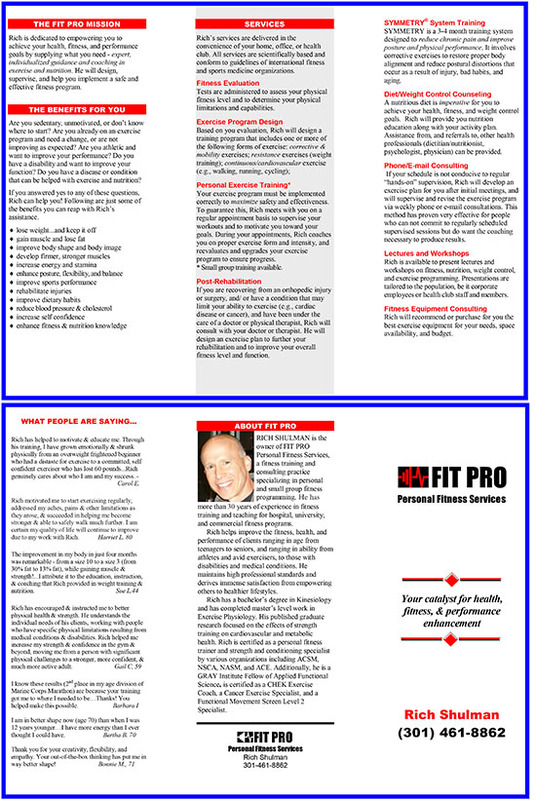 He has over 30 years of experience in fitness programming and teaching for hospital, university, and commercial fitness and health promotion programs. He has assisted athletes, adults and seniors, as well as individuals with special needs due to medical conditions and/or disabilities to improve their fitness, performance, and function. Rich has a bachelor’s degree in Kinesiology and has completed master’s degree work in Exercise Physiology. His published graduate research focused on the effects of strength training on cardiovascular and metabolic health in older adults.